Being a University student is an exciting time in your life that presents many opportunities and challenges. Here at Curtin Malaysia we understand these challenges and work hard to provide students with opportunities to enhance their university experience. Our Malaysia campus is a hive of activity, with a wide range of sports, social clubs, events and activities. Enjoy lunch with your friends in the canteen or picnic on the sprawling grounds, work out in the gym or join a yoga class, browse the library or just take in the breathtaking equatorial sunsets after a day of classes, there really is something for everyone. 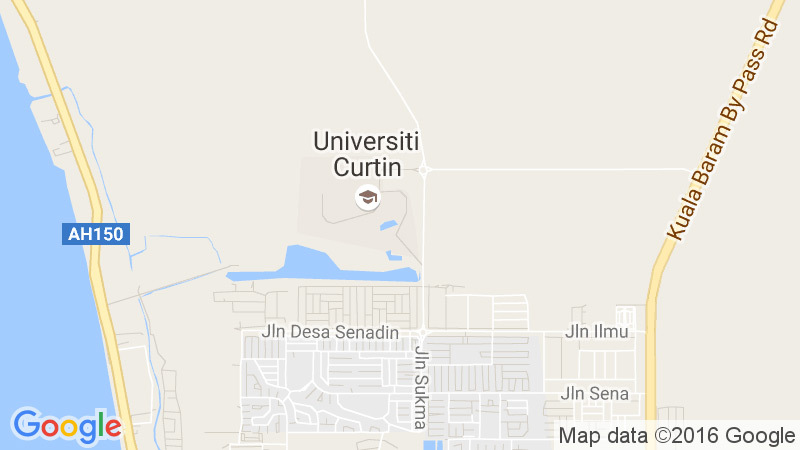 Serviced by our own transport network and with a wide range of services and support facilities, you will easily settle into studying at Curtin. There are on-campus food, retail, bookshop, housing, health and counselling facilities to help you make the most of your study time. A large cafeteria with a number of food stalls forms part of the Student Service Complex on campus. These food outlets provide a range of Asian, Malaysian, Western and local menus for staff and students. All food outlets provide halal food. Eating out in Miri is relatively cheap and there are plenty of choices, including excellent seafood and major fast-food chains. Students are able to get some light snacks, stationery and photocopy services from the convenience store; while textbooks, stationery items, lab coats, Curtin T-shirts and University souvenir items are available for sale at the bookshop. Convenience Store: Monday to Friday: 9.30am to 5pm, Saturday : 9.30pm to 1.30pm. The University’s Counseling Service is free, confidential and available to all students. The counseling staff provide support for study and learning strategies, career and course changes, cross-cultural issues and personal counseling. Appointments can be made at any time by email to our Senior Counselor Kokilah Manogaran at kokilah@curtin.edu.my. Alternatively fill out the online Appointment Request Form or simply drop by the Counseling Office at Prinia 1. Learn more about the Counseling Department here. Our wide range of sports and social clubs that cater for the recreational needs of students. The sporting and recreational complex on campus includes a soccer field, basketball, badminton and volleyball courts, indoor soccer, jogging track and gymnasium. Students are encouraged to make the most of campus life by participating in such games and other social activities that are organised from time to time. Students may also approach the Student Council to start up new clubs, games and social activities. At Curtin University, community engagement is a primary focus for us. Through several initiatives our staff and students have been honoured to give back to our communities through volunteer work in support of charitable organisations and through raising funds and awareness for important causes. Below are some ways in which you can get involved.